There’s no stopping mobile commerce. Way back in 2015, desktop and laptop purchasing dominated online purchasing. At the end of 2015, 73% of PC users used that device to buy online compared to 46% who bought by smartphone, according to a new report by Global Web Index. In the short span of a year, the dynamics changed. PC purchasing is now at 58% and smartphones at 53%, based on the survey of 57,000 Internet users around the world. The trend is clear and it is likely that smartphone purchasing soon will take the lead. Global Web Index suggests that security concerns have been holding consumers back from using their phones to purchase things but that more shoppers are coming around to agreeing that smartphones are a fast and secure way of online shopping. The study found that most (91%) Internet users had a smartphone while fewer (84%) had a PC or laptop. Consumers in North America and Europe still were more likely to have a PC or laptop. An obvious driver of mobile purchasing is the continuing growth in the number of people who own smartphones. By the end of this year, there will be more than 3 billion smartphones in use around the world, according to a recent forecast by Tractica. By contrast, the installed base of personal computers is 2 billion, a full billion fewer than smartphones. In some geographies, many consumers get Internet access first by smartphone rather than PC. In many cases, smartphones also are becoming additions rather than replacements for PCs. The vast majority of consumers are multi-device owners, with an average of three devices, among those that Global Web Index tracks. That doesn’t necessarily mean that marketers can reach all of these consumers, at least by traditional online advertising. More than a third (35%) of consumers are blocking ads on their desktops and 32% on their mobile devices, according to the study. Even though there are a few stumbling blocks, purchasing by mobile devices continues to grow, at least for online sales. The dollar numbers also can be expected to climb, since overall online sales to U.S. consumers reached $400 billion last year, according to the U.S. Department of Commerce. Online commerce comprises 12% of total retail sales, according to DigitalCommerce360. While a relatively small percentage, it represents huge dollars, as is the case with mobile purchasing. Mobile payments at physical stores, where most of retail transactions still take place, also can be expected to rise. Mobile payment capabilities and self-checkout are the most in-demand technologies for retailers, according to Zynstra, which surveyed executives and technology managers. The other key aspect for the future of mobile shopping has to do with demographics. Consumers 16 to 20 years old have grown up mobile. Most (96%) have a smartphone and each day they spend an average of more than three-and-a-half hours on those phones, according to Global Web Index. That’s 50 minutes longer than the average Internet user. That generation is the first to spend longer time online via mobile device than all other devices combined, according to that survey of 5,800 consumers in that age group. Online retailers also are seeing major mobile activity. 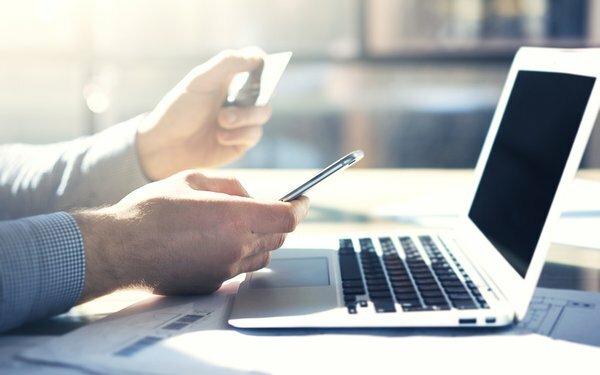 Most (73%) online retailers expect an increase in mobile and tablet transactions compared to a year ago, based on a survey of 215 online ecommerce professionals globally conducted by SLI Systems. More than half (53%) also anticipate an increase in the individual order value. More money is moving through mobile and, just like the desktop world before it, mobile is finally on its way to the head of the line.